Click to see a larger version. Get your own word cloud at Tagxedo. I found a pretty cool word or tag cloud tool online: Tagxedo.com. It crawls your site, Twitter account, or other web content and finds the most common words, making the popular words bigger, and then arranges them in an image. 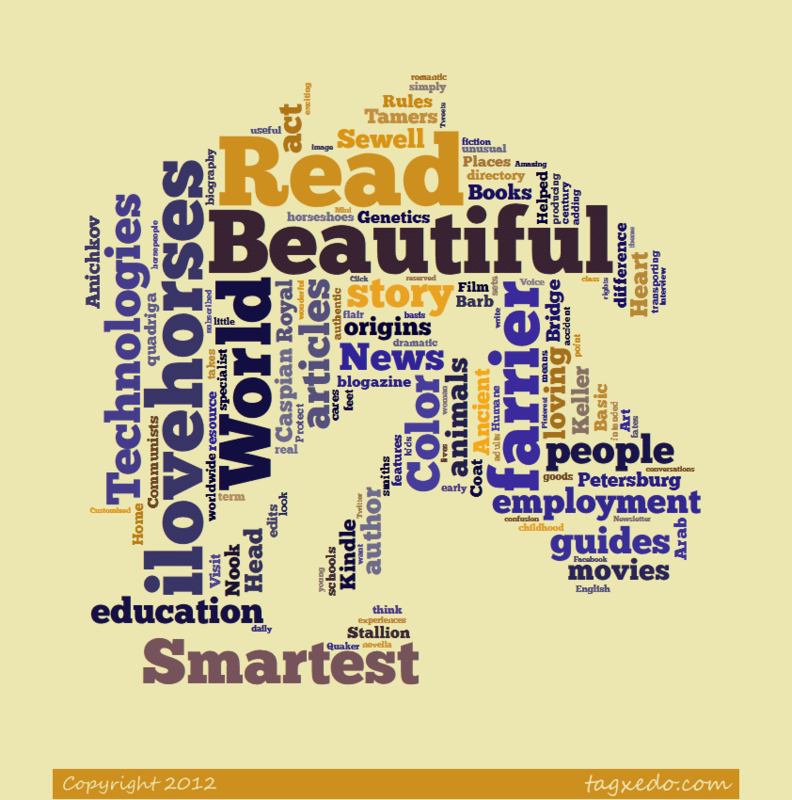 Here’s ilovehorses.net‘s word cloud at left. At Tagxedo’s Twitter feed you can find links to all kinds of creative word cloud images they’ve made. Can you see the ilovehorses.net logo? I think it’s pretty cool. 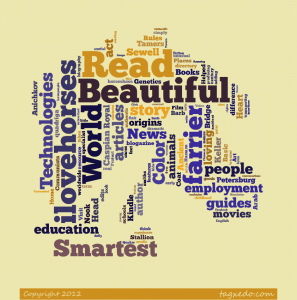 Make your own image-shaped word cloud at Tagxedo.